Kaddish is a bond which unites the Jewish generations from time immemorial, and unto eternity. Kaddish is the way we show our respect for our parents and the way they showed their love and respect for their parents. Tragically, in today's day and age the sacred Kaddish tradition is not always maintained. There are times when there is no surviving male to recite the mourner's Kaddish for the traditional eleven months after a parent's parting, and on each Yahrtzeit thereafter. Perhaps it is true for you. Perhaps you have a loved one whom you would want memorialized in annual Kaddish or Yahrtzeit remembrance. Or even for yourself-after 120 years- to have Kaddish recited for the zechus and merit of your soul in the generations to come. 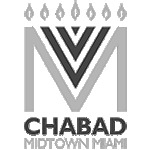 Chabad Lubavitch at Midtown offers the following Kaddish and Yahrtzeit plans. 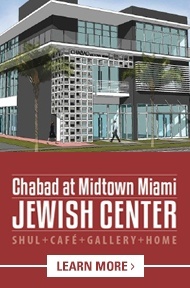 Chabad at Midtown will notify members of the family of the upcoming date of Yahrtzeit. For more information, please call 305.573.9995 or click here to email.